Chesterfield skatepark was built by Freestyle and opened in 2009. 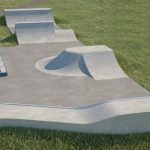 It is a large all concrete skatepark with a combination of street and transition elements. 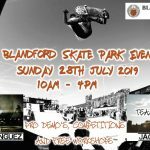 On one side is a rectangular open sided bowl that doubles as a mini ramp and the open sides of which are bowled to give riders something to pump over as they enter the remainder of the skatepark. This leads into a large, open flat bottomed area surrounded by a curved flat bank. On the opposite side to the bowl there is a flat bank with two hubba leading up with a rail between the two and next to this is a pump bump on the lead up to a large taco. 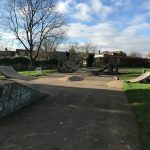 This is a great local park and probably one of the better ones in the area. The surfaces are smooth and the layout is fairly original meaning that there are a lot of lines to hit here. There is something for riders of all styles and abilities and you can easily spend an afternoon with friends learning the lines. Chesterfield train station: Exit Chesterfield station onto Crow Lane and head south until it meets Coronation Street. Take this road and follow it until the end and turn left onto St. Mary’s Gate. Walk along this road until Beetwell Street on your right and take this road until you see South Place on your left. Follow this road until the end where it meets Markham Road and walk along this road until the crossing with Park Road. Follow this road south and take the first right called New Street, follow thi road until the end and Chesterfield skatepark will be in sight. Ravenside Retail Park bus stop: Exit this bus onto Park Road and head south until New Street is on your left. Take this road and follow it until the end when Chesterfield skatepark will be in sight. 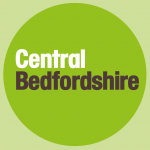 There are no on site toilets but there are free to use facilities in the nearby retail park.